Daytona Beach real estate residents tee off in style at Indigo Lakes Golf Club. Stunning landscapes serve as a backdrop at the state of the art facility. 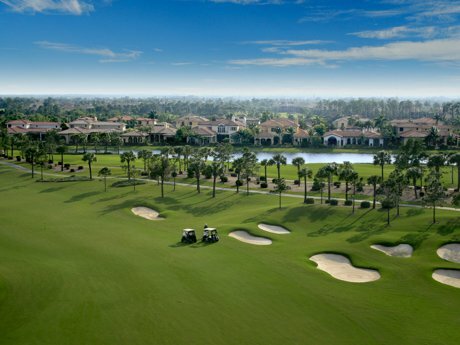 This par 72, 18 hole championship course is regularly named as a “Top 10 Golf Course in Florida” by Golf Week Magazine. Lloyd Clifton designed, all levels of athletes will find challenging and satisfying play. Golfers seeking to improve their game can register for lessons from expert instructors. Tips and techniques for better accuracy and consistency are sure to equal a better game. The Indigo Lake pro shop is packed full of equipment, clothing, and all things related to golf. Whether searching for a new set or a single club someone on the staff is sure to help out. After a satisfying round on this Flagler County property golfers enjoy relaxing in The Green Restaurant. Sandwiches, burgers, salads, and wraps are all highlighted on the menu. Daily Golfer Specials are just for players who present a ticket granted by the Cart Girl. A fully stocked bar is ready for players to wet their whistle. Break up the work week on Wednesdays, and celebrate the start of the weekend on Fridays with live music and drink specials in the bar. Spirits are lifted at Indigo Lakes Golf Club. Enjoy the Florida sun shining on Flagler County property by gathering a group and heading out to the green. Tee times can conveniently be booked online.